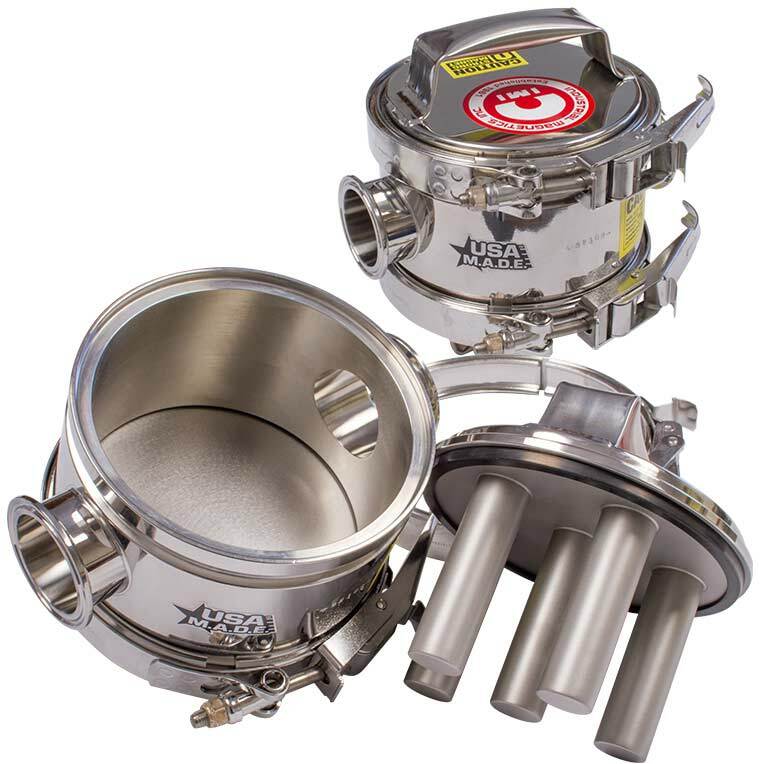 Tube Style Liquid Line T-Traps are available in multi-tube or a single large tube configuration and recommended for liquids, purees, and non-fragile solids. The Tube Style Liquid Line T-Trap employs a slip-in cage of a stainless steel permanent magnetic tube(s), which captures ferrous tramp metal particles and improves the purity of the product. The advantage of tube style magnetic T-traps is that as metal particles collect, they migrate to the rear of the tubes where they remain protected from wash-off until the tubes are cleaned. 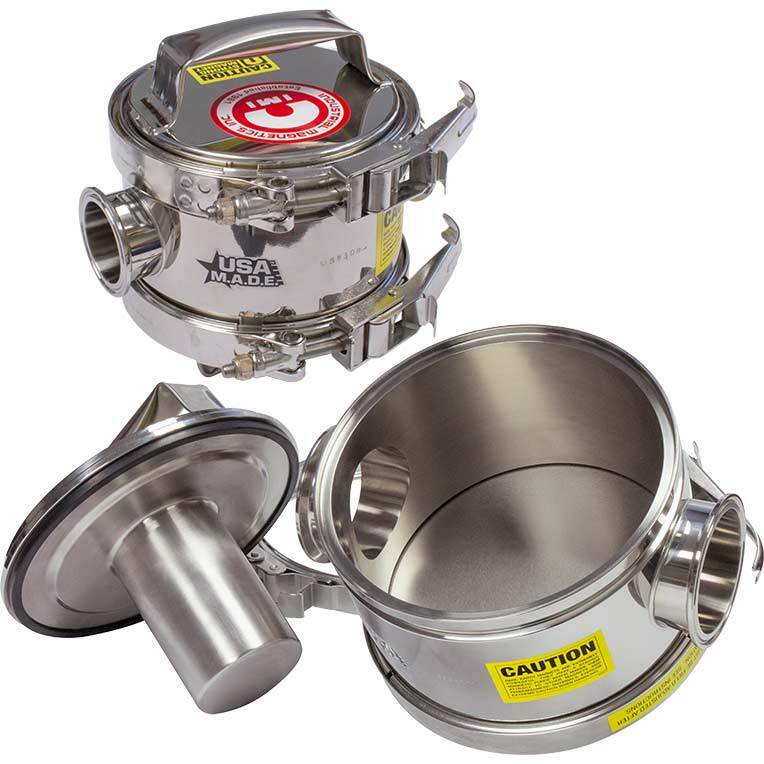 With its removable lid design, cleaning the T-Trap is an easy process. Simply remove the lid with the magnetic tubes, wipe clean and reinstall. Installation of the Tube Style magnet can be in any position. For complete body drainage (no sump area), install T-Traps in vertical lines. Installation locations must allow access for cleaning collected metal from the magnet(s). T-Traps can also be mounted in horizontal or sloped lines without affecting the magnetic efficiency.